The last time the University of Hawai’i basketball team played UC Irvine in the Bren Events Center, it was an epic showdown for first place in the Big West Conference. The Warriors won that battle, 75-71, last February, but so much has changed since then. The Warriors and Anteaters will meet again in the Bren Events Center on Saturday at Irvine, Calif. The game is scheduled to start at 5:30 p.m. (Hawai’i time) and will be televised on Fox Prime Ticket (Oceanic channels 228 and 1228 in Hawai’i). Hawai’i is 6-8 overall and 0-1 in the Big West following a 67-64 loss at Cal State Fullerton on Thursday; UCI is 8-9 overall and 1-0 following an 82-67 home win over preseason favorite Long Beach State on Wednesday. 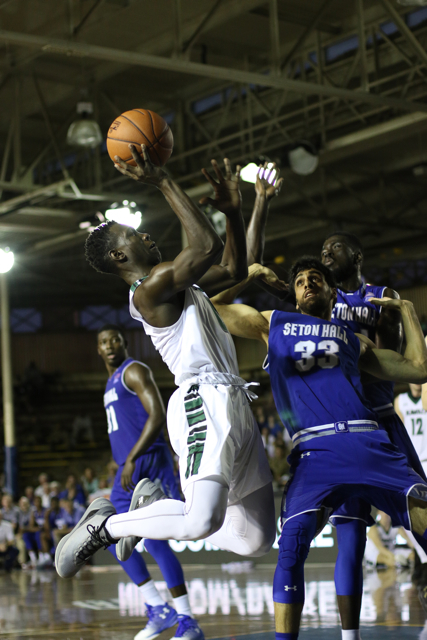 Of the nine Hawai’i players who saw action in last year’s game at Irvine, only one will play this time – sophomore guard Sheriff Drammeh, who scored four points in 20 minutes of reserve time last year. He is now a starter for the Warriors. The Anteaters return just one starter from last year, but he is a key one – 6-foot-3 senior guard Luke Nelson. Three other UCI players got reserve time in last year’s game against Hawai’i: 5-10 guard Jaron Martin, 7-2 center Ioannis Dimakopoulos and 6-10 forward Jonathan Galloway. Those three are starters this year, alongside Nelson and 6-5 sophomore forward Brandon Smith. In essence, both teams are still trying to find an identity for this season, even as conference play begins. The Warriors have struggled to maintain offensive consistency, and are shooting just 39.1 percent from the field as a team. Noah Allen, the team’s only senior on the active roster, leads the team in both scoring (11.1) and rebounding (5.3), but his numbers have declined significantly since taking on a reserve role for the past three games. Junior center Gibson Johnson is averaging 10.8 points and 4.8 rebounds per game with a .505 field goal percentage. He will have to play bigger than his 6-8 frame against UCI’s 7-2 center, Dimakopoulos, who is averaging 10.9 points and 4.2 rebounds per game. Dimakopoulos can score both inside and out, and he is 17 for 34 (50 percent) from 3-point range this season. Sophomore forward Jack Purchase is averaging 10.6 points and 4.1 rebounds per game, and leads the Warriors with 33 3-pointers. Drammeh is contributing 9.8 points per game; sophomore guard Brocke Stepteau is averaging 7.6 points and 2.7 assists per game; freshman guard Leland Green is averaging 9.7 points and 6.3 rebounds per game in his last three games. Both teams’ strength is on defense. 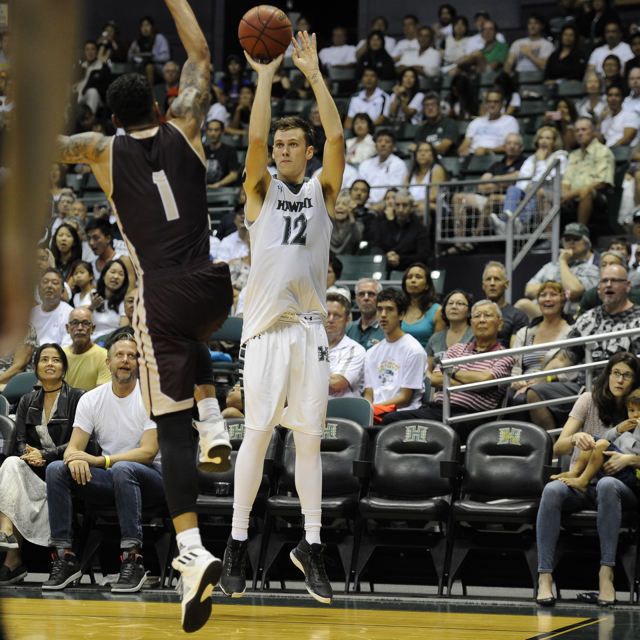 Hawai’i ranks first among Big West teams in points allowed at 64.7 per game. UCI is second at 66.8. The Anteaters are first in the conference in field goal percentage defense at .390; the Warriors are allowing .438. The start of the conference play marked a “new” look for the Anteaters, as Nelson returned to the starting lineup after sitting out the first 15 games of the season with a hamstring injury. Nelson, who was a first-team All-Big West selection as a junior last season, scored 16 points in UCI’s win over Long Beach State this week. He scored 18 in the loss to Hawai’i last season in Irvine. Martin carried much of the scoring load for the Anteaters while Nelson was out, and he is currently averaging 14.1 points per game and leads the team with 37 3-pointers. UCI is led by the senior triumvirate of Nelson, Martin and Dimakopoulos, but there is also a young group of reserves. The Anteaters’ top five statistical players off the bench are all freshmen from California: Eyassu Worku (6-2, G, 8.4 ppg, 3.5 rpg), Max Hazzard (5-10, G, 5.3 ppg), Evan Leonard (6-1, G, 4.4 ppg), Tommy Rutherford (6-8, F, 6.5 ppg, 5.4 rpg) and Brad Greene (6-10, 320 pounds, C, 3.5 ppg, 3.3 rpg). WHERE: Bren Events Center – Irvine, Calif.
Green – Been stepping up and embracing the ‘difference maker’ role as of late, which is what we’ve been waiting for. Glad to see him staying out of foul trouble and he’ll only get better as conference play progresses. Stepteau – He’s been providing solid minutes but I believe he’s being asked to do too much. Yes, he takes care of the ball, gets the offense flowing and makes good decisions. But walk-on or not, he’s still technically still just a sophomore and still a bit undersized for this level of play. Purchase – Need to see more of him attacking the rim, especially when his perrimitter game isn’t on. Also need to see him attacking the boards more and utilizing his size to his advantage. Johnson – Always puts forth solid efforts but tends to force the shot then get frustrated, resulting in getting into foul trouble. It would do him some good to pass off to the guards for the 20 foot jumper whenever he’s drawing 2-3 defenders under the rim and avoid getting overrun and flustered. Drammeh – He seems to play better when he doesn’t have the pressure of running the point. Which works, but still leaves us without a true point. Has drawn some good fouls but could probably do some good just sticking to playing solid D.
Allen – Despite saying he’s fine, something is going on mentally with him that needs to be processed and left behind. He has the skill and athleticism; now if only he could channel that on a more consistent basis. Sooner than later would be great but I’m crossing my fingers that it happens at least prior to the conference tournament. Lewis, Jr. – Why doesn’t he get more playing time? He has the size, skill and athleticism to get the job done so this one is a head scratcher. The only thing I can surmise is that he has yet to fully grasp the playbook, but after the atrocious shooting from the other guys we saw last game, it couldn’t be any worse? Raimo – What’s the deal w/all the blown lay-ups? Need to get him focused as he’s done a good job scrapping underneath the rim, once he can actually start finishing the job, he’ll be good for positive production. Flaisher – Need to watch the fouls on the defensive end then perhaps be more aggressive on the offensive end. He can give us quality minutes as long as he stays out of foul trouble. Leland Green should work on his passing. He looks to me like he could be a very good point guard. He is quick and actually sees the floor. He just has to put it together. He is so good in traffic that I think he could be a natural at point guard. Stepteau’s shot has dropped off lately. Like all the guards, he has got to find that separation between getting others involved and taking his own shot when it is there. Good comments by LetsGoBows. I previously mentioned that Allen should completely focus on his mid-range game, work for his shot from mid-range, and be the point forward that would get all the players involved more. Just give him the direction to go out and challenge the records for assists. This would take the pressure off our guards. We have played a few teams that had a talented point forward. A few shovel passes, a few bounce passes and a couple of high arching mid-range shots will keep defenses off balance for the better part of the game. Allen Iverson’s words ring in my ears. Word, that is. “Practice?! ?” “Practice?! ?” Ganot has got to prepare the talent he’s got. And then let them play. And play the talent, not the guys who work hard in practice. Everybody has got to work hard in practice. But too many of the players look like they don’t understand the system that Ganot is trying to run. Ganot has got to teach the system, in practice, and the play the talent, in the game. This, they understand. Max Hazzard referred to in the article above is the grandson of the late Walt Hazzard,All-American guard on John Wooden’s first NCAA championship team at UCLA in 1964. Walt was born in Wilmington,Delaware,home of a recent UH player. I know the name, but I for one, am not that old. I do know that anyone with such a connection to John Wooden does have a little of that magic in their game. 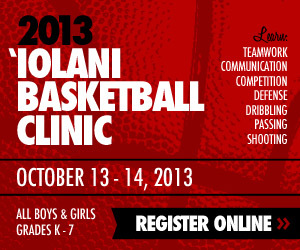 That’s one thing I would like to think Noah Allen has, that is a few of those old UCLA fundamentals.